Heigh Ho! Heigh Ho! It’s Off to Work on “Once Upon a Time” I Go! Just as the 7 Dwarfs have returned to their menial labor mining precious fairy dust, my factory job as the dialogue editor for the ABC drama Once Upon a Time resumed this week. It’s been a long 4-month hiatus, and although I’ve enjoyed being a full-time unemployed mom to my two little beauties and the beast (their roles interchange depending on the day and the deed), I’m anxious to put on my big girl underpants again and start earning a regular paycheck. I’m also excited to find out what has become of Storybrooke now that the Evil Queen’s spell is broken. After 22 episodes of the present day townspeople forgetting that they are actually fairy tale characters, last spring’s finale led us to believe that they have suddenly remembered. Will it be like the Dallas cliffhanger in the late 1980’s when poster girl Victoria Principal woke up and found that the previous season was just a dream? Will the show steal the standard soap opera formula in which a character suddenly has amnesia – but in reverse? Naw. Those would be the viewers who prefer reality shows and turn Snookies into celebrities. I am a huge fan of Once Upon a Time, so I too have been waiting on pins and needles to see what will happen in the Season 2 opener. And since I actually work on the show, I get to find out about a month before you do. Unfortunately I can’t tell you because then I’d have to kill you. Maybe. On the other hand, Once Upon a Time is owned by Disney-ABC, so the Mouse Mafia might actually hunt me down and revoke my Disney Lot walk on pass. If you believe the previous sentence, you are exactly the dim person I was just talking about. If I did spill the beans in my blog, or frankly anywhere, I’d probably lose my job. I didn’t have to sign a disclaimer or anything, but I would think it’s both a common courtesy as well as proper business protocol to not be blabbing a television secret, even if it is only to my 269 followers and 2,000 other mystery readers, which would be a far cry from the millions of viewers Once Upon a Time attracts. None of these conversations ever took place. But I must have over 200 people (or possibly every one of my 269 followers) ask me for clues about Once Upon a Time every single week. 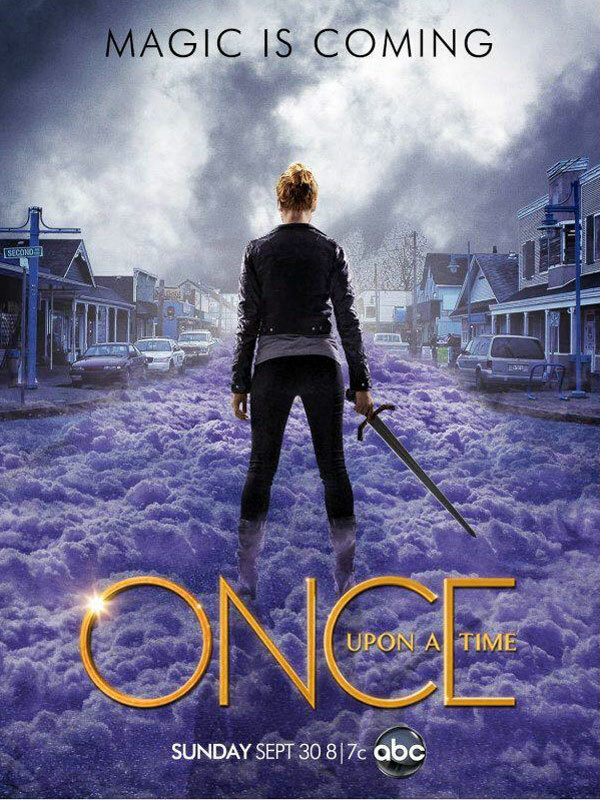 You’ll just have to wait until the Once Upon a Time premiere on Sunday, September 30th to find out (8:00 pm PST on ABC).